Modern design, just renovated, comfortable 1 bedroom apartment. Very quiet and bright. Living room with a sofa double bed, TV, white modern fully equipped kitchen, table and chairs. In the same room there is a loft double bed. In the bedroom there is a mother double bed and the wardrobe. Modern large bathroom with shower and washing machine. Air conditioning and high speed internet. 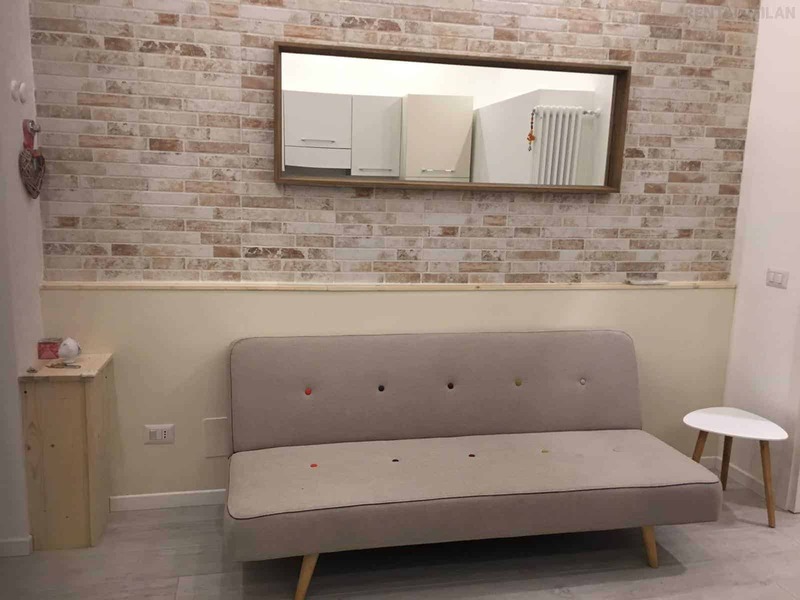 Between Bocconi and Navigli area, close to the metro stations Abbiategrasso and Famagosta M2, 30 minutes from the center (Piazza Duomo) directly by tram. You can easily reach by public transports the main universities: Bocconi, NABA, Cattolica, Marangoni and Politecnico. It’s a safe residential area, close to the main public transports, walking distance you can find every kind of shops and service. Restaurants, bars, art galleries, gyms.